Global assignment is a term well known to every international manager and is more than often found to cause severe headaches... nevertheless RELOCATION – the remedy to this, so to speak – is still fairly unknown in Europe. Ask almost any European today what they associate with the word RELOCATION, the answer will most probably be “nothing“. That’s exactly why we started 5 years ago – from scratch, having experienced the stress and strain ourselves, but even more the striving and thriving connected with living and working as expats worldwide. Our experiences culminated into founding Ad Verbum Relocation in Austria and A2B Relocation in Germany. Our know-how covers all areas and our personal commitment will help you settle quickly in a new home. We guarantee highest quality, whether you need us in Vienna, Salzburg or most anywhere else in Austria. The same is valid for Germany and all our other locations. Our international team can assist you in English, French, Italian and of course German and we can help with all other languages as well. Why should you contact us? - Because we are good at what we do and we enjoy it! Feel free to get in touch – we look forward to it! Ad Verbum Relocation is a member of EuRA (European Relocation Association) and is bound by their ethics and rules of conduct. The stated aim of EuRA is to spread knowledge and understanding of the issues surrounding employee mobility. Further, EuRA enhances industry performance standards by communication and education. 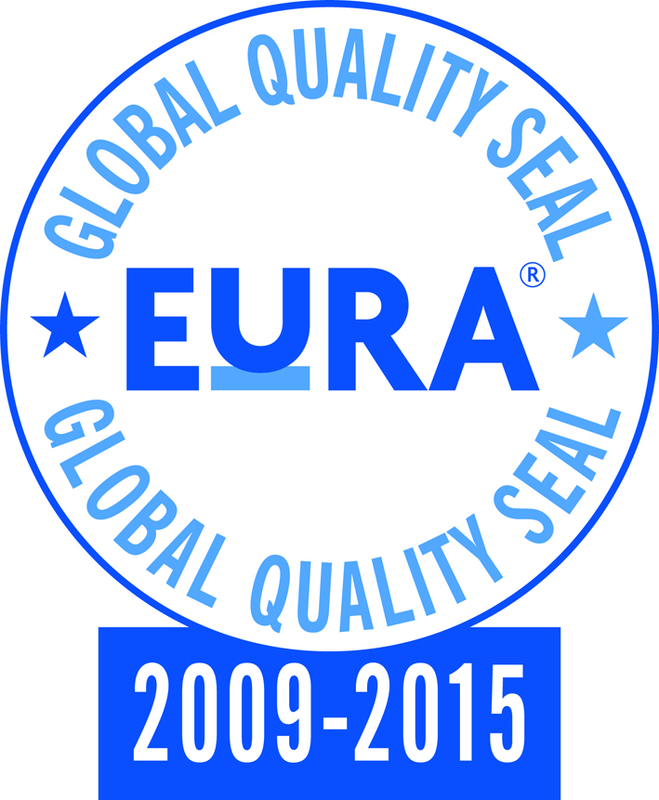 Ad Verbum Relocation obtained the EuRA Global Quality Seal in 2009 and has been recertified every two years ever since. Based on an ISO 9001 process management model, the EuRA Global Quality Seal specifies the processes and KPI’s that reflect the very highest standards in relocation services. As a member awarded with the EuRA Global Quality Seal, Ad Verbum Relocation demonstrates a total commitment to quality.